The latest generation of the new Mazda6 Saloon and Tourer features, a comprehensive range of carefully considered revisions and enhancements, according to the company. 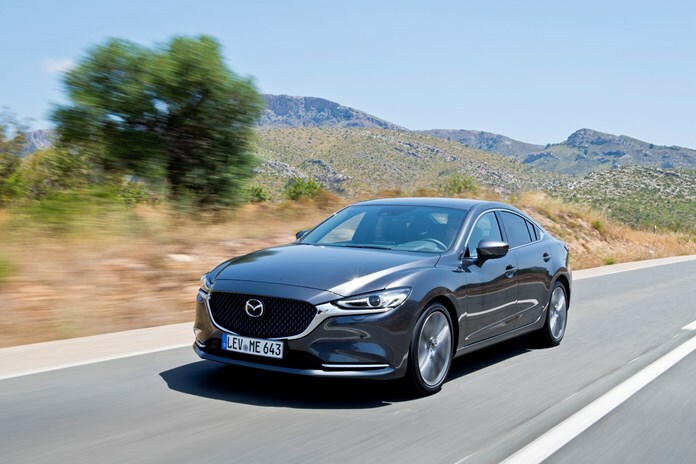 Starting from €31,945 and with fuel efficiency as low as 4.4l/100km, Mazda says the new Mazda6 has been refined inside and out and offers drivers a suite of new technology and safety features. The exceptional maturity and elegance of the exterior design evident in the signature 3D grille and detailed light clusters is complemented by a human-centred, ergonomically superb interior, Mazda says. The cabin is more refined, quieter and more comfortable than ever and has also been updated to offer occupants the very latest in multimedia connectivity on an 8-inch centre screen. New technologies boost the performance of all Skyactiv powertrains to maximise efficiency and power with additional engine options offering customers more choice to better suit their needs. The new Mazda6 will offer a choice of two skyactiv-d 2.0 litre petrol engines available in either 145PS or 165PS. A new SkyActiv-d 2.2 litre diesel engine with 184PS will accompany the frugal yet sporty 2.2D 150PS option. Both petrol and diesel engines are available in either manual or automatic transmissions. Cabin noise is now quieter and more pleasant than ever with road noise, vibrations and harshness further reduced via thicker body panels, natural sound smoother technology and noise absorbing materials to create a truly premium feel. The range of i-ActivSense safety systems has also been broadened such as updated Mazda radar cruise control, projected active driving display with integrated satellite navigation, adaptive LED headlights and blind spot monitoring all as standard. intelligent speed assistance and 360 degree parking view monitor are available on higher spec grades.